We all spend more than we like to admit on our hair – from cuts to colors to fancy products. But most of us probably skip thinking about our blow dryer – but that handy little tool is an important part of a great hair day! I always got my blow dryers from TJ Maxx and have probably had the same one since college. But after getting my hair caught up in the dirty air filter part (I mean who really cleans that?!) and the fact since 2012 it had a a slight fire smell to it (I know! ), I finally decided to get a new one (well, two, because I wanted to switch out the one I had on the motorhome too!). 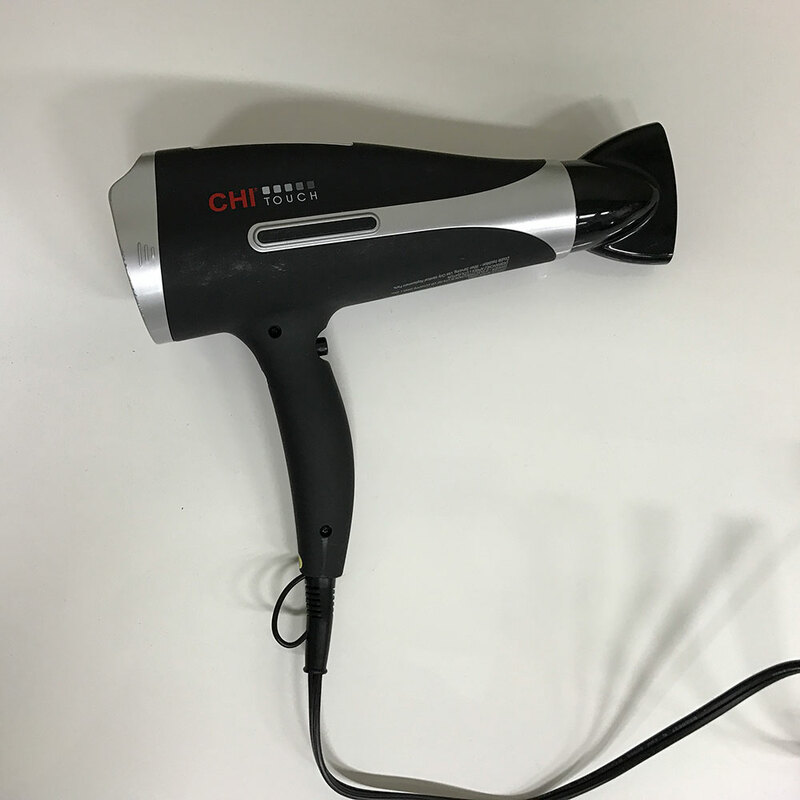 The first blow dryer I purchased was the Chi Touch. They have come out with a newer touch model now, but my review is on the original. Here is what I love about it. 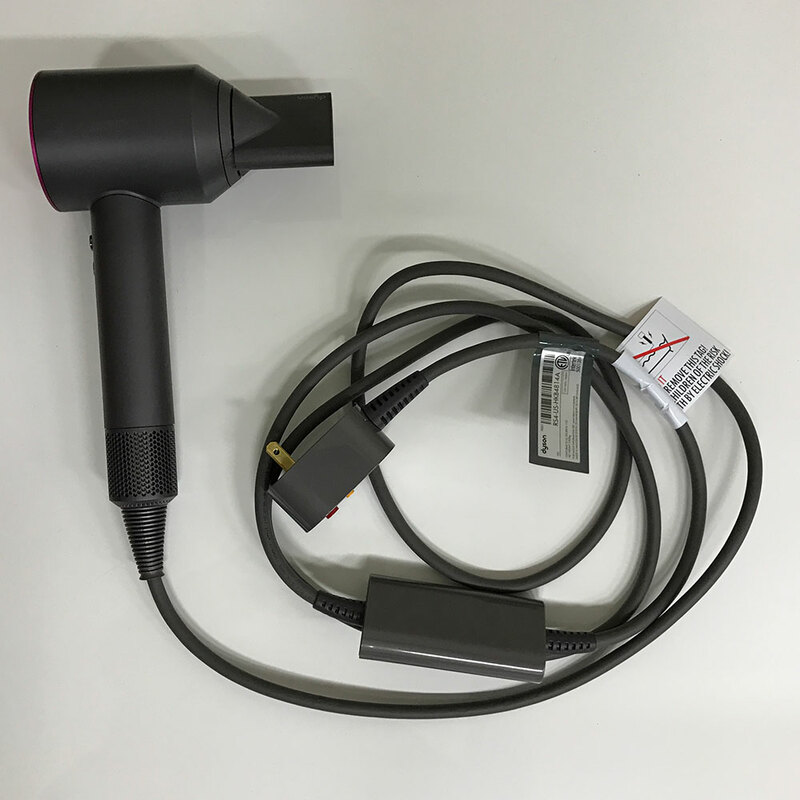 The touch screen allows you to adjust the heat, speed and ion setting. I particularly like this because, as someone with really fine highlighted hair that has a natural curl, I found that a medium to high heat and a medium speed setting is perfect. Its just enough power and heat to straighten my hair but not so hot that I have excessive breakage. My favorite feature though is the ion feature. First, what are ions?! Well, basically they are responsible for giving you smooth and shiny hair, but for someone with fine hair, there can be too much of a good thing. I set my blow dryer to the higher end of the low setting in order to give my hair some shine and still keep volume. When I want a really smooth straight look, I increase the ions to the medium high selection. But there are some cons to this sophisticated blow dryer. First, I find it to be a bit heavy. After lugging around a toddler and a hard arm workout, I find that sometimes my arm gets a bit sore holding this up. Also, this is the first blow dryer I have ever had it happen to, but one day it just quit about four months after I got it. Ulta replaced it but she asked me how I stored it; I told her I just wrapped the cord around it. Apparently when doing so, by bending the base of the cord (where it meets the blow dryer) I broke something by having it at an exaggerated angle. For the past year, I didn’t do this and haven’t had any problems. It could have been a fluke but Ulta replaced it nonetheless. First, the design is sleek and modern, which I guess really doesn’t matter but really check her out, this thing is a beauty! From the colors to the feel of the handle to the cool donut-looking head of the blow dryer, its really just impressive! Another great feature is that it is super lightweight and quiet. This is especially nice when blow drying your hair after a little one is asleep in the next room! It’s not super quiet by any means, but I was able to have a conversation with my husband while using it and not shouting. The settings are simple with low, medium and high in both heat and speed. For my naturally wavy/curly, fine hair, I found that medium speed, high heat was the best. 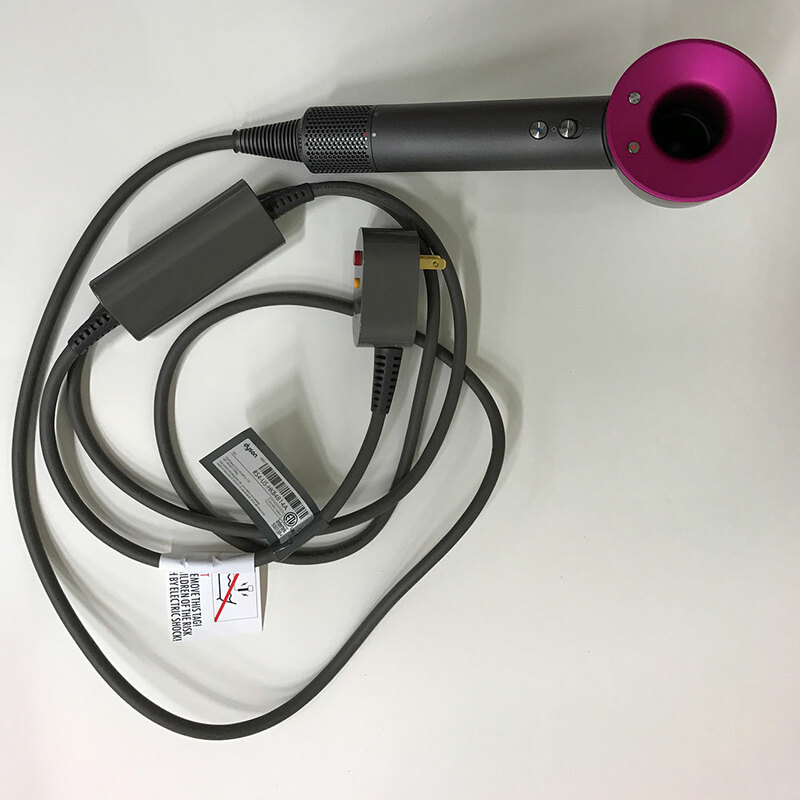 Its amazing that I can use high heat because usually on blow dryers my hair would burn off, but Dyson claims to have some magic heat sensor so that your hair isn’t exposed to excessive heat. I have no idea how it does it, but I will tell you I haven’t seen any broken ends like I have in the past, and my hair feels really nice after blow drying. I also feel that this blow dryer is powerful so it cuts down on dry time a bit, but since I air dry or rough dry first, I can’t give you a definitive answer as if I had thick hair that I dried in sections completely wet. Also, what I find very convenient is that the attachments that it comes with are all magnetic so they easily connect on. It comes with a diffuser (which I haven’t tried yet), a concentrator and a smoother. For me, I like to let me hair air dry a good bit, but if I don’t have time, I rough dry it with my head flipped upside down with the concentrator nozzle. Then when it is about 80% dry, I flip over and use the smoother attachment to try my hair in sections with a round brush. Out of all the blow dryers I have ever tried, this one smooths down my crazy baby hairs that normally stick straight out of my head the best. I also love that the cool shot button is much colder then any other one I have ever tried. I feel like my hair looks and feels healthier since using this blow dryer. So whats my overall consensus with using these fancier, high priced blow dryers compared to normal ones? Well first off, I think there seems to be less breakage and damage in comparison to older versions because they seem to smooth and dry your hair without burning it off. I’ve used blow dryers in the past where I thought my scalp was on fire because of how hot they got – and that was set at medium! I think that the Dyson does a better job in this deparment then the Chi. I also think, especially with the Dyson, my hair is smoother, which I credit a lot to the attachment. If you have naturally straight hair that doesn’t take a lot of time to dry, I would say you are fine with a regular blow dyer. But if you have thick and/or uncooperative hair like me, you may want to seriously consider adding the Dyson to your wishlist like I did!